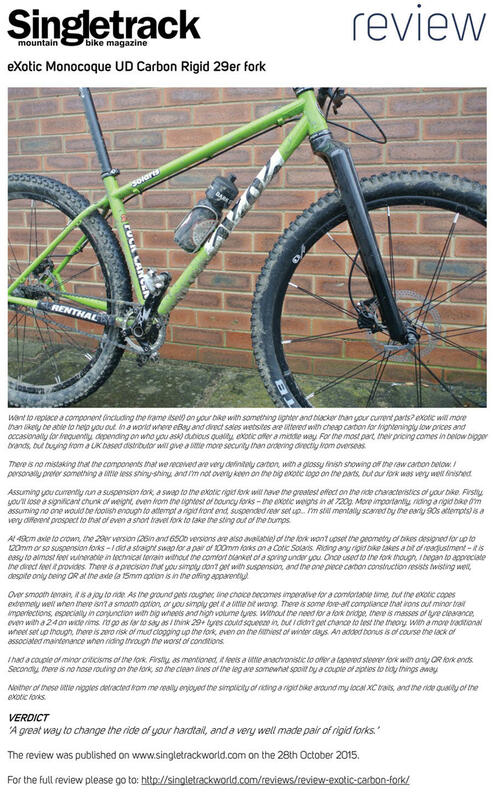 The test crew at Singletrackworld.co.uk have tested our Carbon Monocoque fork and to cut a long story short LOVED it. NOTE: And don't forget we do have the 15mm through axle version available too now. Please email us for details.